There is footage of the real band, Queen, performing the song “Don’t Stop Me Now“. 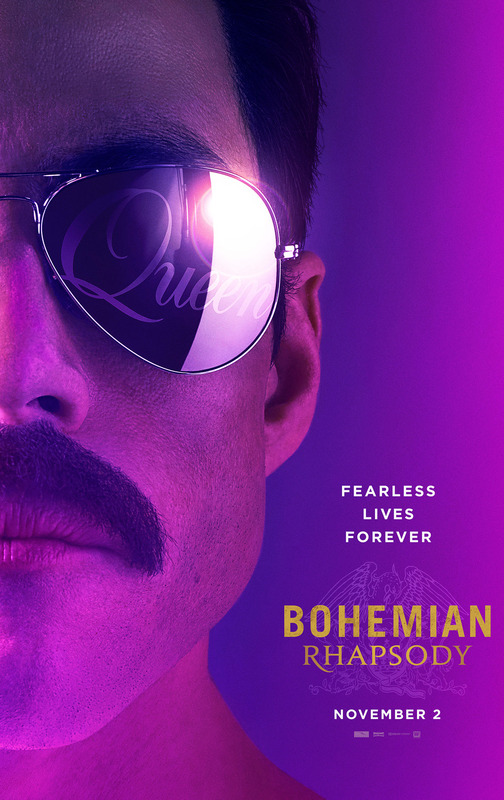 Was seeing Bohemian Rhapsody in IMAX worth the cost? 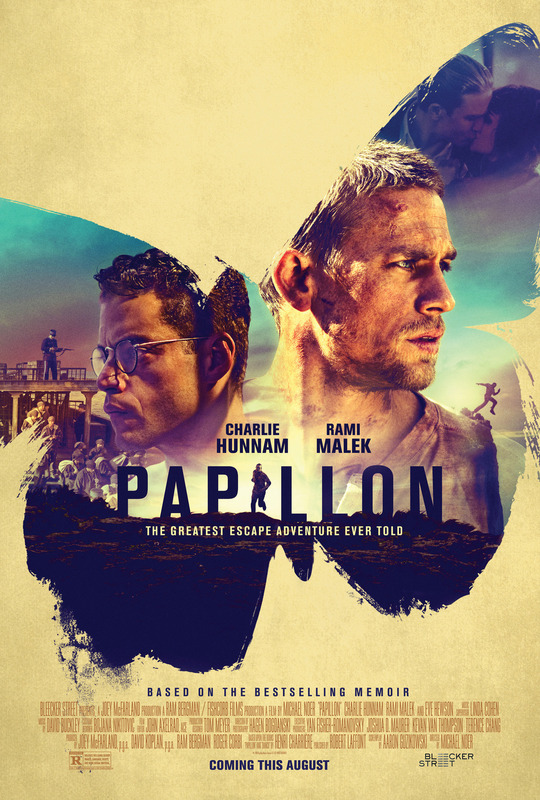 Based on the international best-selling autobiographic books “Papillon” and “Banco”, the film follows the epic story of Henri “Papillon” Charrière (Charlie Hunnam), a safecracker from the Parisian underworld who is framed for murder and condemned to life in the notorious penal colony on Devil’s Island. Determined to regain his freedom, Papillon forms an unlikely alliance with a convicted counterfeiter Louis Dega (Rami Malek), who in exchange for protection, agrees to finance Papillon’s escape. In this bold thriller peppered with dark humor and interlocking mystery, an eccentric mountain man is on the run from the authorities, surviving the winter by breaking into empty vacation homes in a remote community. 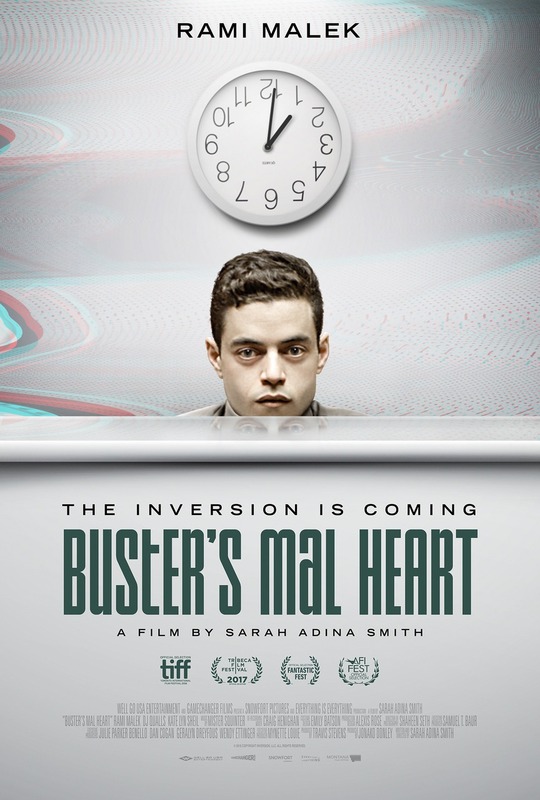 Regularly calling into radio talk shows — where he has acquired the nickname “Buster” — to rant about the impending Inversion at the turn of the millennium, he is haunted by visions of being lost at sea, and memories of his former life as a family man.